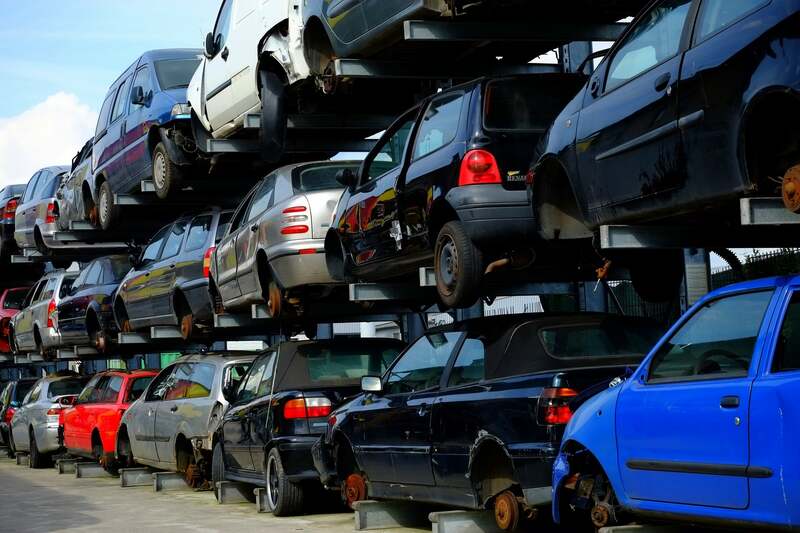 Did you know that you can get compensated for selling your car for scrap? A while back, scrapping vehicles used to cost the owner money. Maybe you need a newer model, or your vehicle is damaged, getting the right company for scrapping services is of paramount importance. At Newcastle Top Cash Car Removal, we offer you the best deal for your steel. Top cash for your vehicle is what we are all about. Who knows, you may only need to top up a little cash to get a newer 2nd hand model of your choice. Even better, the deal may be enough to get you a new car. Why should you scrap your car for cash with us? If you are located in our large service area of Newcastle, Central Coast, Hunter Region and surrounds we are the car scrappers who come to you. Want more reasons why to choose us? Our payments are made on the collection day. Once we’ve inspected and reviewed the car details (necessary to make sure that the car details match those given at the quotation stage), what you need to do next is to confirm these details and get your payment. You don’t need to deal with bouncing cheques or disappearing clients due to payment failure. We pay in cash and on the spot. You don’t need to keep on checking the mail to confirm whether the cheque has arrived or not. We pay either with cash or direct deposit into your bank account. Our business services are in demand, such that once we receive your car, the parts are stripped or crushed immediately. We always have clients waiting and for this sole reason, we are able to pay you instantly. Trust us to deliver. Leave the towing part to us. Your car doesn’t need to be moved by a towing company. We do it for free; hence you can save a dime. Does your vehicle require any repairs before disposing of it? If yes, we’ve got this covered. We take cars that are written off, non-roadworthy and not even working. We will get your vehicle on our tow truck with our specialised towing equipment. At the end of it all, our priority is to serve you a quality service for free. All you need to do is call us, and we will be at your service. What Is A Scrap Car Title? A scrap title is a branding given to a car if it has one or more wrecked parts like body, bumpers, doors, fenders, frame, engine, hood, tailgate and transmission. The title is not put in the open like on the windshield. Instead it is indicated on the vehicle’s documents that show that the car has reduced in value which may be due to a collision or any other disaster. Altering a vehicle’s identification number is a common auto fraud. What these criminals do is to put a VIN of a damaged vehicle on a stolen one to hide identity. If the vehicle is entirely wrecked, its documents are valuable to people who deal in stolen cars. If anyone is planning to sell the stolen car, the stolen VIN shows a low value hence it reduces profitability, thereby deterring theft. 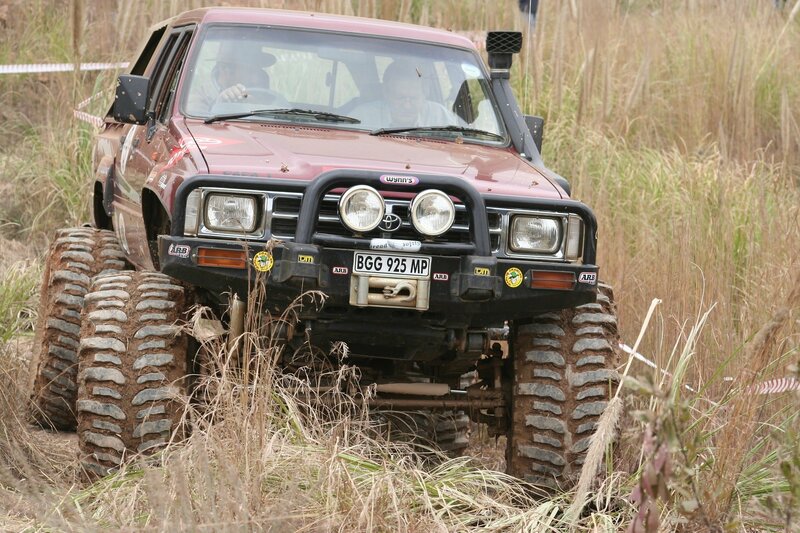 A previously wrecked and repaired vehicle easily finds its way into auctions. If this car was already branded the title, though rebuilt, it could still have a major part like the mechanical systems still damaged. Such a car is in a non-roadworthy condition and using it may harm you or other road users. 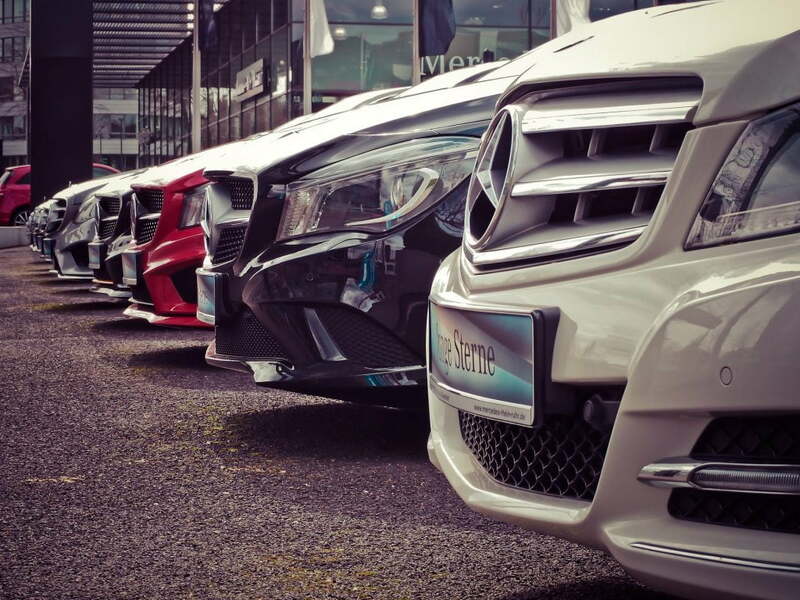 Can We Serve You Without A Scrap Car Title? At Newcastle Top Cash Car Removal, we understand that you may have misplaced your title and you need to sell that car. The good news is that you can still sell it even if the title is lost. Under one condition though; as long as you’re can prove ownership using an old registration as well as the driver’s license. We also don’t accept abandoned vehicles. If the registration is lost, there is always a copy from the place where you first purchased the car from. These details make legal paperwork simple. With proper documentation, we will serve and pick up your scrap almost instantly. What Else Will You Get With Us? In other junkyards, you may pay a fee for the transfer of the car’s ownership. With us, the ownership transfer of the vehicle to us is free. 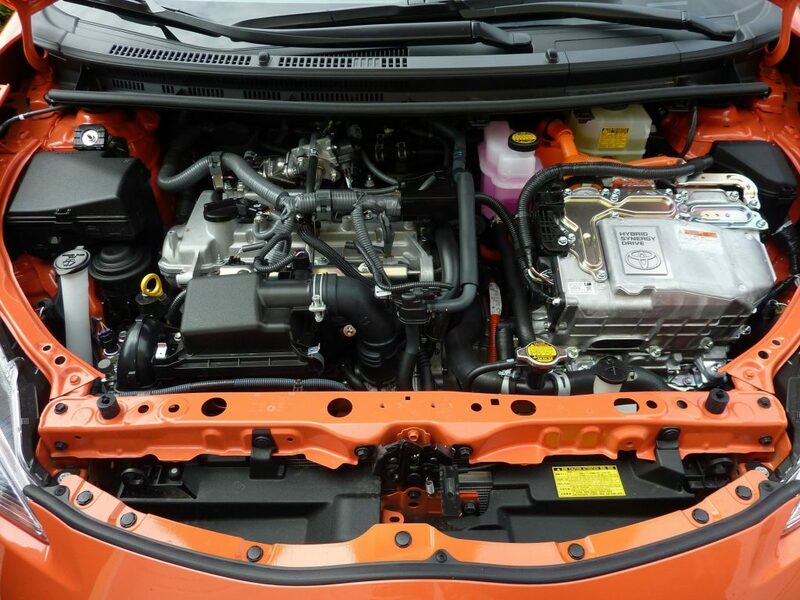 Our free services don’t include hidden charges on the price quotation of the car. We mean business and we greatly value you. A junk car is an unwanted vehicle that is not in use any longer. If you’ve used that car and feel it is too old to be driven, it can also be considered junk. To some people, a car is deemed junk if it is three years old and above. Another thing that makes a car scrap is if it has missing parts, or if they are present they are either misshapen or deteriorated. Other factors that qualify to term a car as junk is if it is inoperable, has a low value or missing paperwork. Cash for junk cars is, therefore, a service that exchanges money for a junk car. At Newcastle Top Cash Car Removal, we provide cash for junk cars. Though you may own a junk car, we are interested in it. We are professional junk car buyers and will pay you top dollar. We have a team of experts trained to serve you with high professionalism. Our machinery experts will pick up your car without causing any damage to both the car (though it’s already a junk) and more importantly your property. We have safety measures put in place, so don’t worry about harm coming your way while the pick up is taking place. Newcastle Top Cash Car Removal have many years of experience in this field. Be sure when you come to us, you are not dealing with a start-up. We know these businesses, and we have representatives all over who keep us updated on the market prices for scrap metal, stripped parts and other recyclables. It means that with us, you will have a fair price for your junk car. You can only get these perks with an experienced company like ours. We care about your relationship with us. Though you may have endless questions, we will answer them all. We understand that it may be your first time selling a junk car. We will go the extra mile to ensure you are completely satisfied with our cash for junk cars service. Did you know that your car depreciates annually by 15%? After maybe 10 to 15 years, your vehicle has a much lower value from when you once bought it, especially if it was a used vehicle. So when your vehicle has aged beyond repair what can you do with your scrap car? While it may appear worthless, we at Newcastle Top Cash Car Removal want to assure you that you can still do something with it. Regardless of how bad it looks your scrap car still holds some value. That’s right, it doesn’t need to lay and take up space in your driveway unnecessarily. It may seem old and worthless to you, but someone else might find a use for it even in its condition. At the very least, if it’s parts are still intact, they could be worth a lot of money. So while you may consider selling it to someone who might repair it, a better option is to simple scrap it. This is what happens when you sell the car to us. We strip the valuable parts and crush the remaining parts for recycling purposes. Your scrap car is valuable to us and we will buy it, regardless of the condition. Our car scrapping company can get you an instant quote. Once you accept we schedule an appointment to come down to your place, buy and pick up your car. Most likely you still need a car, a working one nonetheless. While many new or used car dealers often offer reduced prices if you bring in your old car as a trade in. Most will not be interested in taking an non-working car. Or if they will accept it, they will not give you anything for it. More than likely they will offer take it off your hands and make out that they are doing you a favour. Then they will call us and we will come and collect it and end up paying them, when it was your car! So if you are planning on using it as a trade in, do yourself a favour and call us instead. We will give you a fair price and then you can use that money to reduce the cost of the new car buy. Although they are rare, charities that run car donation programs still exist. The charity organisation can see the value in all things that are donated to them. They realise that any car has some value in the parts or metal. More often than not they too will call us up and we will pay them cash for their car. So by donating your scrap car to charity you are effectively giving them cash. Although there will be a transfer of ownership a couple of times. In this case we think it is best that you contact us and we pay you for your scrap car removal. Then you can simply give the money to charity yourself. The charity would prefer this easier transaction much more too. There are cars that were once a hit or a car that you loved to a point that you could not sell it for anything. It is lying in your garage or backyard and you just felt the need to let it go. The problem is that you have no idea how you can sell it. This is not unique to you as there are others like you who have no idea that they can make money with car removal Newcastle services. We remove unwanted cars for you and while at it, we give you money for what it is worth. Can I Sell a Totally Unusable Car? What many clients find interesting about us is that we buy cars that are operational and those that are entirely unusable. This means that just because your car has been lying in the yard for years does not mean that it is worth nothing. We will buy it. My Car Was Damaged in An Accident, Can I Still Sell It? The answer is yes. We remove and buy cars that were damaged in accidents so you do not have to worry about that. We get clients that are unsure on whether they should call our car removal Newcastle services if their cars have been totaled by accidents. Even if your vehicle is water damaged or another unfortunate events has occurred. This does not matter to us. We want to clear up your space so you can use it for other things. Besides Coming to Your Office, How Else Can We Reach You? Besides coming to our office, we are readily available on call. We know that you have a busy schedule and we do not expect you to bring an in operable vehicle to us. Give us a call and our Newcastle team will come to the location of your car. We then inspect it and give you the money agreed. Then we tow away the car free of charge. This will not only save you the hassle of towing the car to us, but it will save you the money that you would have paid to a towing company. What more could you ask for if you have an unusable car in your home? Even if you have several inoperable cars in your yard or you have a huge car in your garage that you no longer need. You feel that they have been clogging up the space, spilling oils and have rusty parts everywhere. Stop thinking of disposing them and give us a call. We do so in the most environmental friendly way possible. Your most reliable car removal Newcastle company will step in for you. All you need to do is give us a call and we will take care of the rest. A totally unusable car may not be of benefit to you in any way but we know that it is still worth some money. That is the reason we encourage you to give us a call so that we can assess it and still give you some money for it. Buying a car is a hassle, particularly if it’s your first car and you took out a loan to cover the cost. Maybe you bought it a while ago and now the car is junk and you need an easy way to get rid of it and make some fast cash. Perhaps you dread the same hassles you went through when buying it. The good news is that car removal services will take care of the hard work and Newcastle Top Cash Car Removal will offer up to $11,999 for your old vehicle. Here’s why car removal is the lazy but certain way to get fast cash for junk cars. Many ‘Cash for Cars’ services buy vehicles on an ‘as is’ basis. This means you don’t have to be concerned about the state of the car or prepare it for the buyer. The company will perform a quick assessment of the vehicle, check out the bodywork and give a quote based on the recoverable value of the car. They will generally dismantle the car into saleable materials, meaning the condition of the car as a whole is not important to them. If you were to sell your car on the open market, you’d have to post ads in the classifieds, social media or other forums to find buyers. Next, the hassle of negotiating with prospective buyers over the value of the car and navigating complex payment terms makes the process even more difficult. To avoid this inconvenience, many car removal companies will visit your premises, evaluate your old vehicle and pay cash on the spot for your junk car. Car removal companies such as Newcastle Top Cash Car Removal have expert staff who will take you through all the legal details of selling your car. Not only do you avoid the complex paperwork, but you can have peace of mind knowing we are licensed and compliant with all regulations. The only document you’ll need to have is the vehicle title and the license plates. If you are in the Newcastle, Hunter, Maitland, or surrounding areas, Newcastle Top Cash Car Removal offer free removal services. This will save the hassle and costs you’d incur if you chose to get rid of your vehicle using other methods. Our friendly staff will attend and remove your car safely, returning it to our wrecking yards where we take the vehicle for dismantling and recycling. Finally, you don’t have to wait for a cheque in the mail. This fact makes our service the easiest and most convenient way to get fast cash for your old car. Newcastle Top Cash Car Removal will act on your call, give you a quote over the phone, visit your premises, pay you cash and tow away your car at no extra cost. Car Removalist Vehicle Selling Tips best cash for vehicle, Keep it Local, Real Cash for Trucks, Want Cash for Your Old Truck? Want Cash for Your Old Truck? 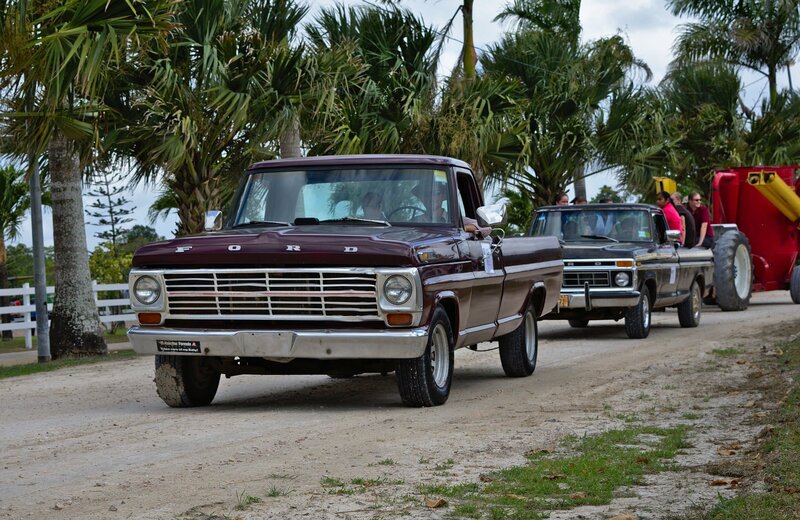 What happens when your truck outlives its useful lifespan? Stop wondering, because at Newcastle Top Cash Car Removal, you need only get in touch with us to get real cash for your old truck. There are many options around the state to have your truck removed, and you should know there is value in your car, even when it’s no longer useful for you. Many companies can remove your vehicle, however we can offer up to $11,999 and we even cover the towing fee. Surely that is reason enough to get rid of your unwanted truck! As soon as you realise the truck has no more use, call us. 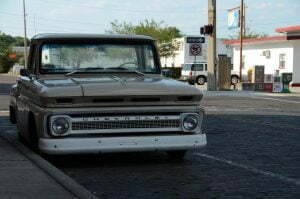 The longer you take to make the call, your truck continues to age, deteriorate and depreciate. There is no reason why you should continue to store a vehicle which is no longer of use. One quick call to our friendly customer service team will provide you with an offer for the truck removal. Once you have a suitable quote, book in an appropriate time to pick it up from your doorstep. With thousands of car removal companies available at your fingertips, you can easily spend just a little time ensuring you get the best deal. 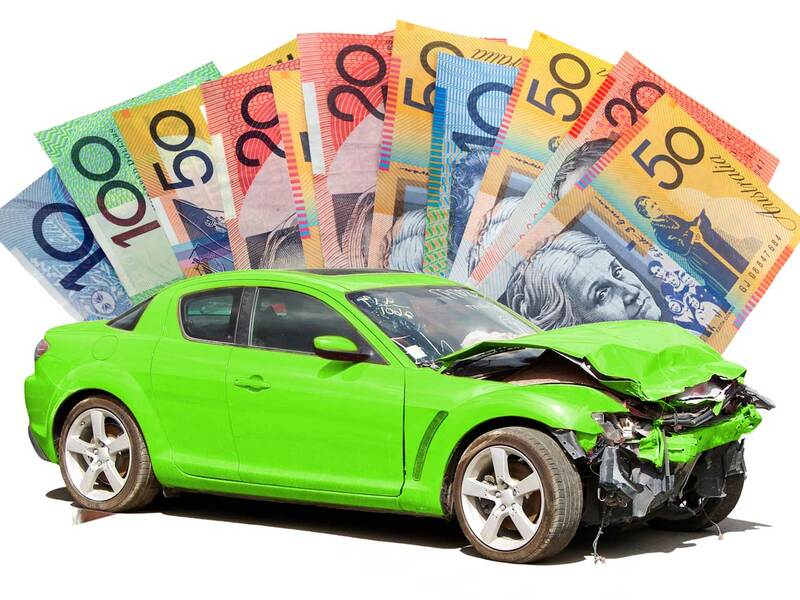 Newcastle Top Cash Car Removal will give you a quote over the phone, needing only a few details such as the truck’s make, model, age, odometer reading, the status of the truck’s title and its general condition. We also offer a hassle-free questionnaire on our site, to which we will respond with a quote. Our industry varies and whilst companies will give a wide range of quotes, be careful not to make the decision solely on this information. Ensure the company has a good reputation by checking out online reviews and referrals. These reviews will ensure you get unbiased information from people who have used the services. 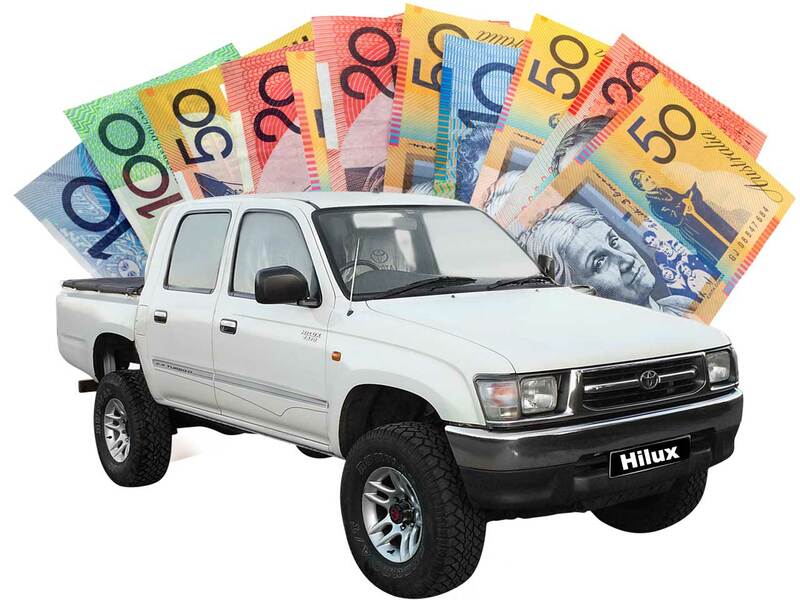 All over Australia, car removal companies are vying for your business, many offering real cash for your truck. By using Newcastle Top Cash Car Removal, you keep your money local, and we are passionate about stimulating the local economy. In addition, local companies like us won’t have to travel long distances to get to you, eating into your profit. If you are in Newcastle, Hunter, Maitland, or surrounding areas, Newcastle Top Cash Car Removal will even provide free towing. It’s as easy as that! To get real cash for your truck, make sure you act fast, shop around and keep the search local. 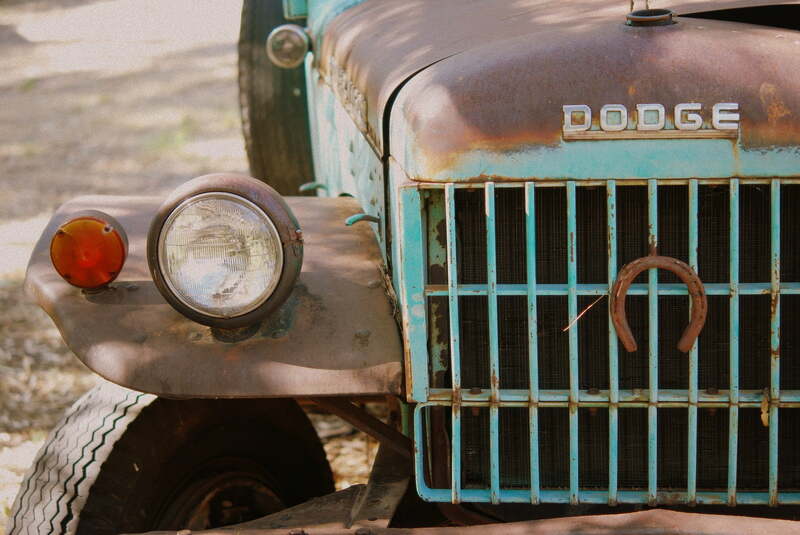 Your truck may have outlived its useful purposes to you, but it still has value to us. Newcastle Top Cash Car Removal will offer up to $11,999 for your old or broken truck and tow it at no extra cost. 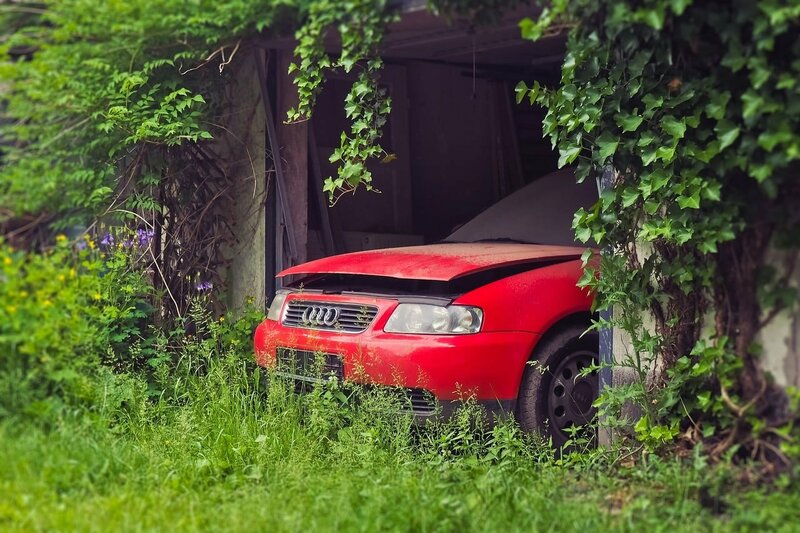 Do you have a junk car that you’ve always been meaning to sell, but you have been putting it off because you’re not sure of how to get rid of it? In Newcastle, there are several car removal companies to choose from, but you should take the time to do a bit of research to get the best rates and find the simplest way to get rid of that old car. Here’s a step by step guide on how to get cash for cars in Newcastle. You should start your process with a quick web search of local car removal companies in the Newcastle area. There are a lot of businesses operating, but you should be sure that ones you are considering provide good rates, value customer service, and are licenced and insured. Be sure to also check out genuine customers reviews to steer clear of any companies with a bad or no reputation. When you contact a removal company, they will ask you some basic information about your car to inform their quote. To make the process easy, ensure you have these details handy. In particular, you should have information such as the specifics of the title, make, model, odometer reading, body condition, engine condition, interior condition and signs of damage is important in the selling process. Irrespective of the condition of your old vehicle, it still has some value in some of the components and recyclable metal. In most cases, the model and condition of the vehicle will significantly influence its value, however, several other factors contribute to the final quote for a junk car. The vehicle weight, its completeness, and reusable parts are the most significant factors. 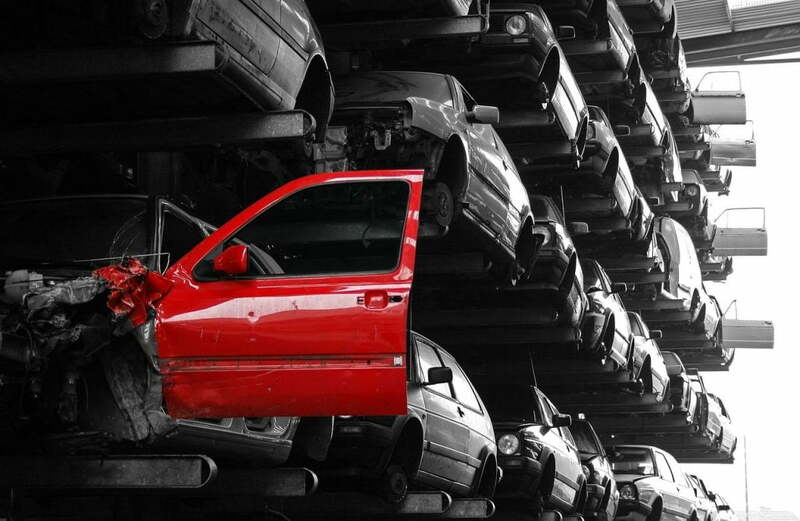 At Newcastle Top Cash Car Removal, we have an onsite wrecking yard meaning we can offer exceptional rates for clients’ cars. Of course you can always seek multiple quotes to ensure you get the best deal, but we know you won’t be disappointed with our offer. Once you have settled on the company and quote, request for the company to collect the junk car from your property. Be sure to agree on the details though, as many car removal companies claim to offer this service ‘free’, some companies will factor the cost of towing into their quote and pay you less overall. At Newcastle Top Cash Car Removal, we guarantee free car removal services for anyone within the Newcastle, Hunter, and Maitland area. Complete the Paperwork and get Paid for Your Junk! Finally, the part you’ve been waiting for – getting paid! Before you move too quickly, make sure you have a firm grasp on the local laws and regulations of selling a junk car. At Newcastle Top Cash Car Removal, our well-trained and experienced customer service team can guide you in all legal matters. Also, remember to notify the insurance company and the motor vehicle registrar. Toyota has built a reputation over decades for being one of the most reliable auto manufacturers in the world. The Japanese company has manufactured well over two million vehicles since its inception in 1937 and it’s a significant player amongst global car makers. 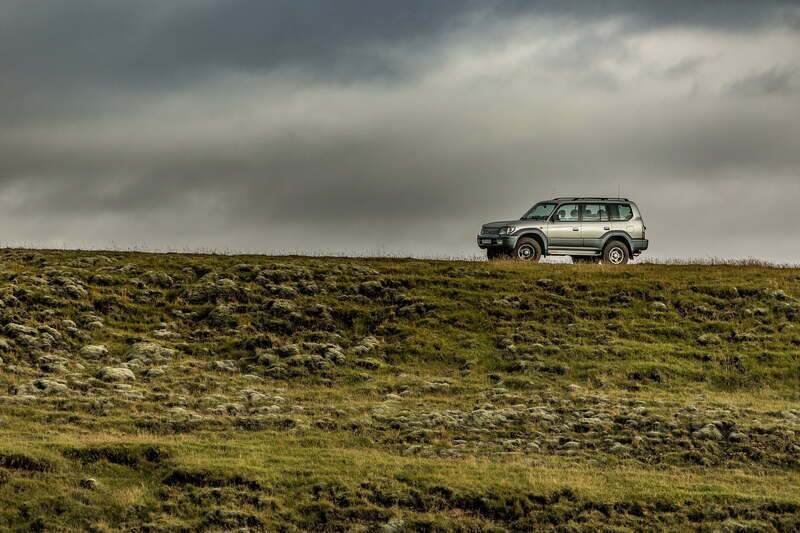 However, like all vehicles, Toyota’s eventually reach the end of their line and must be retired. That doesn’t mean the value spirals to zero. You can still get money for your scrap car! Now that you have decided to sell your old Toyota, your first move should be a thorough search for potential buyers. The simplest way to offload your vehicle quickly is utilising the services of a local car removal company. A web search is a quick and easy way to find a list of relevant businesses, along with their services, customer reviews and contact information. If you are in the Newcastle area, we are one of the most experienced and professional firms who offer top cash for a scrap Toyotas. Your quote will be based on the information you provide to the company, so ensure your details are accurate. For example, you will need to know the age and model of your Toyota. If you are unsure, some popular options include the Toyota Yaris, Toyota Camry, Toyota Corolla, Toyota Aurion, Toyota Rav4, Toyota Kluger, Toyota Prado, Toyota Hilux, Toyota Land cruiser, and Toyota Celica. Common vans include the Toyota Coaster, Toyota Hiace, or Toyota Dyna. Next, take a reading from the odometer and make a critical assessment of the condition of the vehicle in general. Questions to consider include: Are the accessories still in good shape? Is there any visible damage? If yes, what kind of damage and where? Providing detailed information will ensure the company can give an accurate quote and you can negotiate more confidently. From your list, make some calls and filter the options based on customer service, reputation and quote. Be careful to make sure the quote takes into account the collection and towing of your vehicle, which can sometimes be an added cost or deducted from the quote. Read reviews and take note of how helpful the staff on the phone are, as this will indicate how easy they will be to deal with. Newcastle Top Cash for Car Removal will pay up to $11,999 and we guarantee free towing for clients within the Newcastle, Maitland, Hunter and Central Coast regions. More importantly, we pride ourselves on excellent customer service and do what we can to make the whole process easy for you. Whilst your car is worth money to us regardless of its condition, there is no doubt that any car removal company will pay more for a car that is running. If you have some know-how, make some small repairs where you can to get your vehicle in the best condition possible. Most car removal companies will pay more money for a scrap Toyota that is operable than a stationary one. Once you have gone through the above steps and agreed on the sale amount, close the deal with the money paid, in cash, direct to you on removal. Don’t settle for waiting for a cheque in the mail or having to make countless calls chasing after payments. When you engage with Newcastle Top Cash Car Removals, we pay you instant cash for your scrap Toyota and you’ll have the money in your hands even before the vehicle is removed. 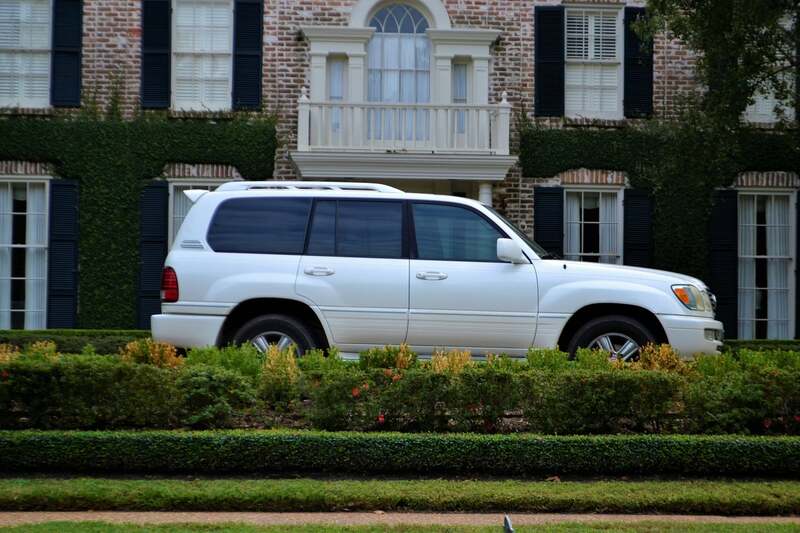 Do you have a used car lying around in your yard and have no idea what to do with it? It’s likely that some of your friends have suggested disposal, and it’s something you should consider. Newcastle Top Cash Car Removals offer up to $11,999 for used cars in the local area, you could end up with a tidy sum of money for your junk vehicle. If you chose to dispose of your used car in Newcastle, there are some considerations you should take into account to avoid complications. Without due process you could end up getting poor service or a low quote for your used car. Worse still, you could end up on the wrong side of the law for engaging an unlicensed company. To avoid these headaches, here are three things you should avoid when disposing of used cars in Newcastle. Car removal companies who are reluctant to provide references may want to hide bad reviews from previous customers. Companies such as these are dishonest and won’t be upfront about declining to offer references. They will employ tactics such as providing staged, outdated or arbitrary references. Other characteristics of such a business might be that they seem too eager to get started on the job, brushing aside your requests for references. To avoid becoming the next in their line of complainants, ensure the company you choose is willing and able to provide honest references when asked. Avoiding these common mistakes will ensure you get the best value for the disposal of your used car. The New South Wales Government is stringent on providing guidelines relating to the disposal of used vehicles. The rules are put in place to combat crimes and ensure the consumer is protected. If you do business with unlicensed dealers, you will find yourself in trouble with the law. When you are disposing of a used car in Newcastle, watch out for companies who are reluctant to provide details about their business such as a registration, licence or even physical address. To ensure you are protected from unscrupulous companies, be prudent in your selection of a car removal business. 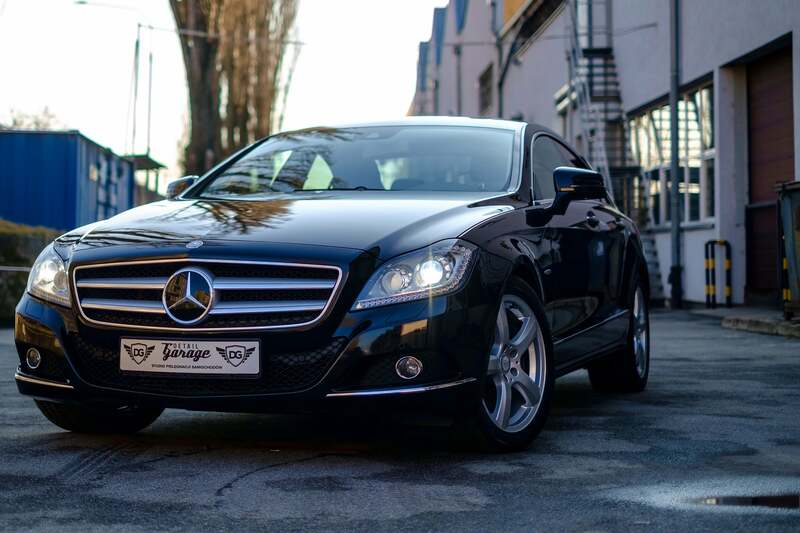 At Newcastle Top Cash Car Removal, we pride ourselves on standing out from the crowd with our excellent customer service, fair rates and transparent business details. You can rest assured knowing that dealing with us will keep you out of trouble!